On the Brink is the first in a series of games designed to build the mental skills needed to fully grasp the concept of coding. All of the games are screen-free for a unique, unplugged play experience. Each of the 40 On the Brink challenges contains a map of colored squares. Each color has pre-programed moves for your Robot to perform. 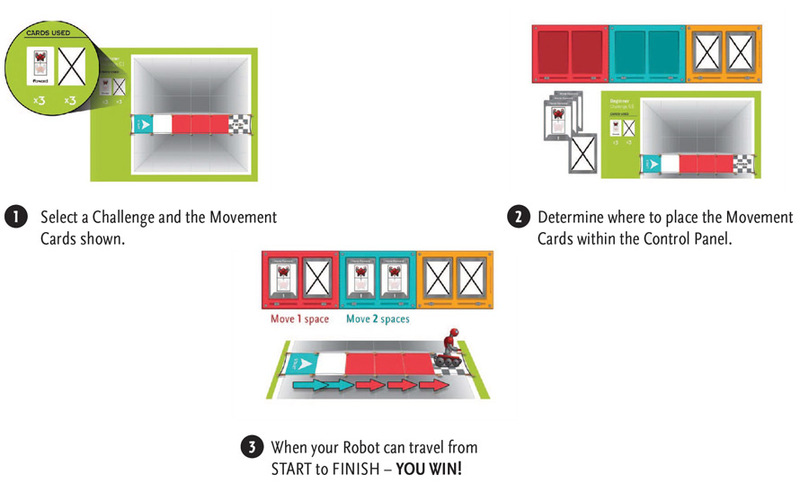 Use your problem-solving skills to determine the moves that will successfully get your Robot from start to finish. On the Brink is a fun and challenging step up from more simple sequencing games like Robot Turtles.